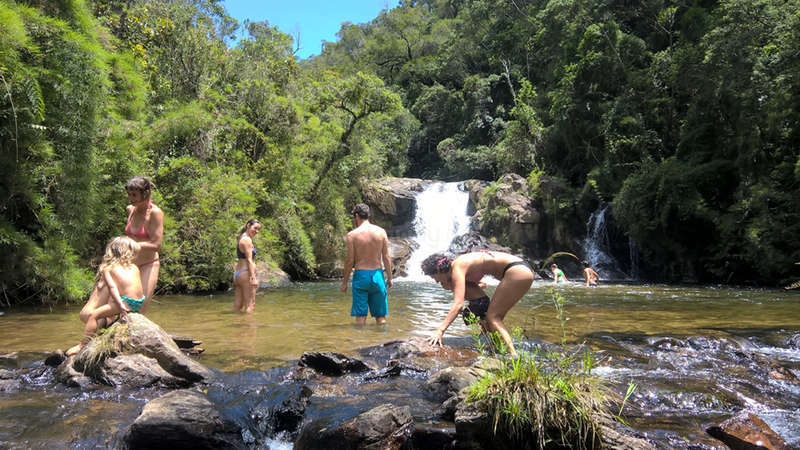 We have a Hostel and work with tourism in the Mantiqueira mountains in the village of Delfim Moreira and nearby. The population of our small town is around 5 thousand people. 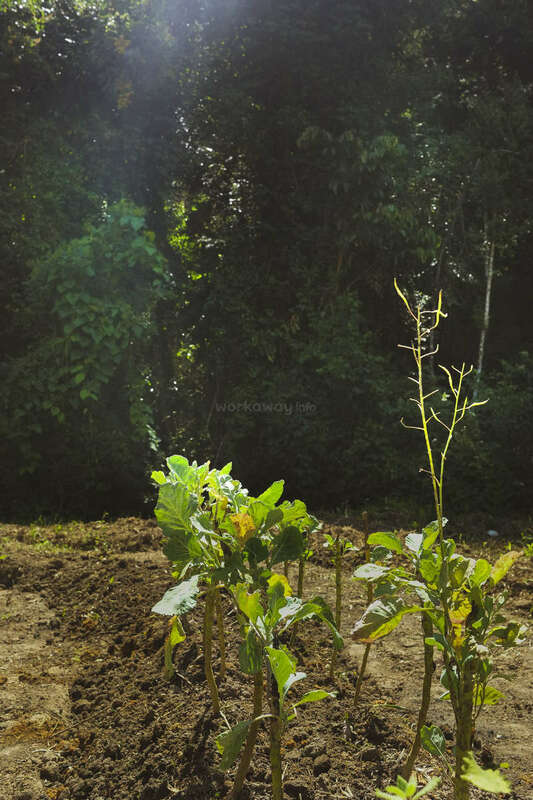 The rural tradition is still alive, many people cultivate their own food, and the locals help each other for the wellbeing of the community. Delfim Moreira has a pleasant temperature. The fresh weather and clean air is much appreciated by our visitors. We are one of the coldest cities of Brazil. Just half an hour away we have the university city of Itajubá, where one of the ten best universities in the country is located. In Itajubá you can find all the amenities of a busy city. If you are looking for a quiet place, with nature beauty all around, within an environmental preservation zone where you can be deeply and hear answers inside yourselves, your place can be here. We love sports in contact with nature. You may have the opportunity to visit many beautiful spots in the area. Trekking, camping and mountain biking are our passions. They will get to know the regional culture, learn about planting practices and the Portuguese language. Minas Gerais is a state that is known in the entire country for its simplicity, quiet life and the hospitality of receiving its visitors. We live between the two largest cities of Brazil, yet with the peace and safety of its origins. Help with the restoration and the building a terapeutic center and the eco projects. Gardening, decoration, construction and painting are one of the many activities here. 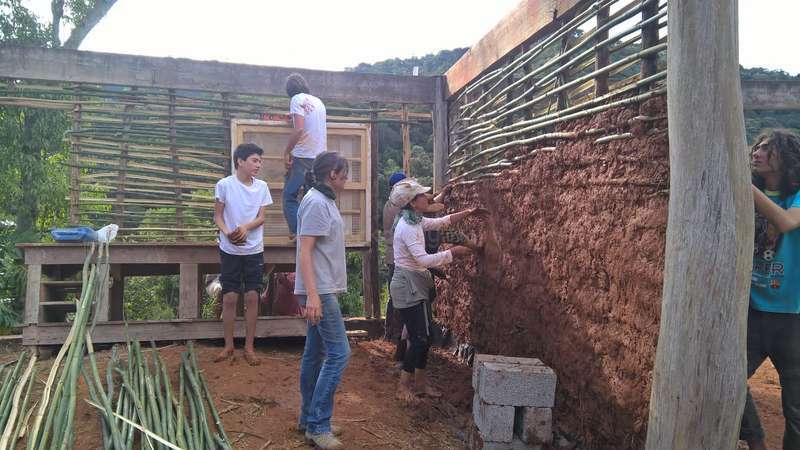 Help with daily tasks of the the eco village and the hostel. Assist in the maintenance of tourist trails. Any cultural presentation and language skills with the community. 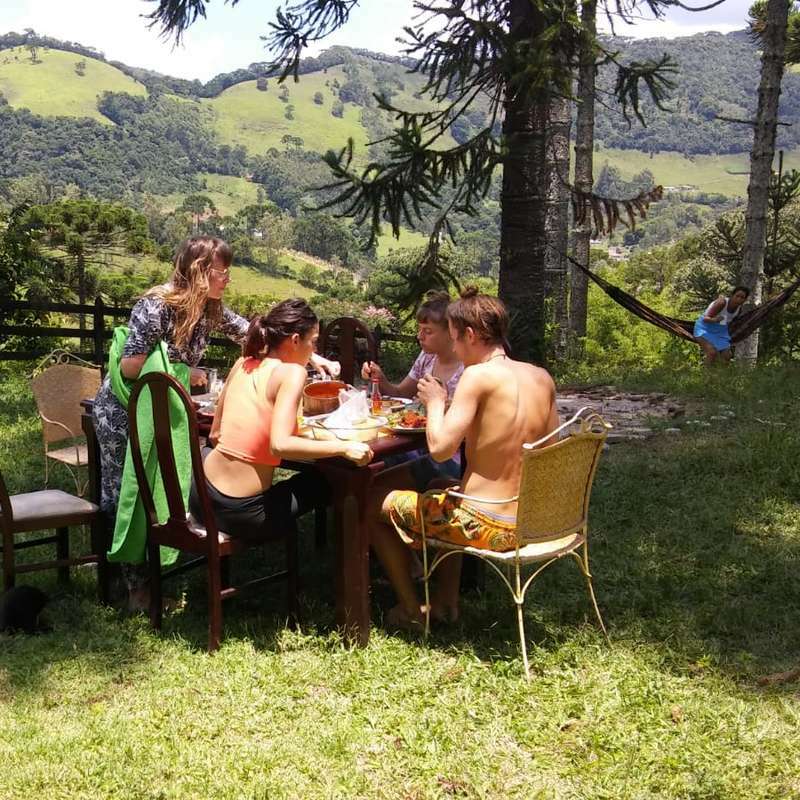 We are in the process of setting up a Holistic Center in a beautiful country house located 7km outside of Delfim Moreira in the small, community-led village Rosário. The country house is surrounded by stunning scenery and nature, here you can really disconnect from busy city life and spend your days connecting to nature and the local surroundings of mountains, horses, cows, chickens, waterfalls and nature reserves. 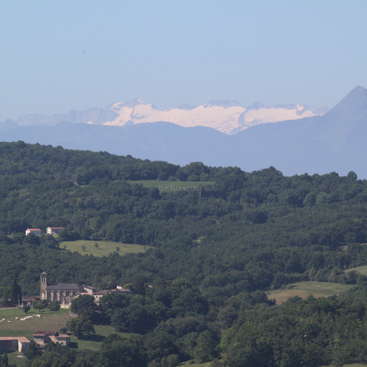 In the village there are dairy farms, nature reserves and chalets set amongst incredible scenery. We need help painting, gardening and constructing within the house. We are building a community here and we usually practice yoga together in the morning and plan fun activities to do together for when we finish working: such as waterfall trekking in the mountains, horse riding and exploring the local town which got many delicious cafes, restaurants and bars. The work is laid back and I am very open to suggestions for how the house could be improved. If you are a creative, open-minded person with ideas we would love to hear from you! As we are working together and building a community, we aim to have breakfast, lunch and dinner together so we can plan and discuss the day ahead. There is no internet connection at the house, however if you have a VIVO chip you will be able to use your phone here to access the internet. If you can drive there may be a car available to use whilst you are here, otherwise accessing the town centre is easy by bike and the walk is extremely scenic and beautiful! 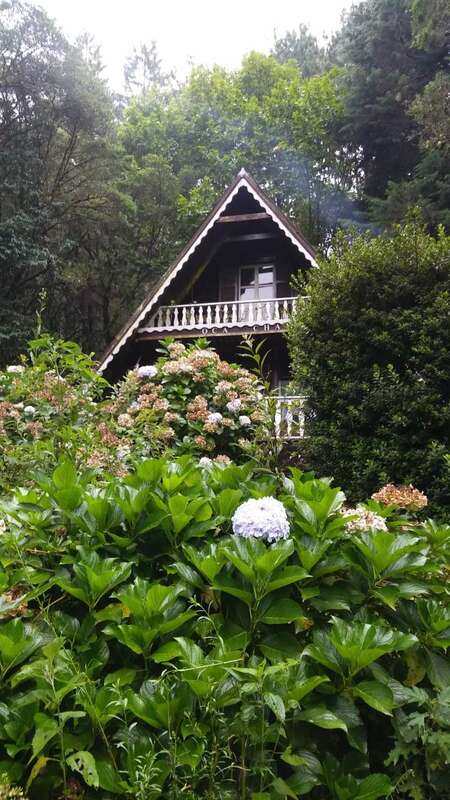 We have two more places in Delfim Moreira that we can stay eventually, the chalet on the montains, inside the forest where its setting the eco village. The chalet is very cozy, really set in nature. There is no electricity, the lighting, the refrigerator, the stove and the hot water run on gas. All water is mineral and direct from the source. There is a fireplace! Internet access is only possible walking 1km away - via your own mobile phone. 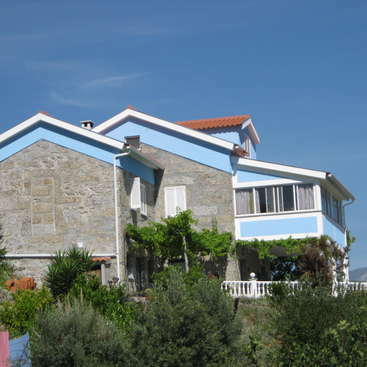 The chalet is located 24km from the village of Delfim Moreira and sometimes we can stay on the Hostel in the Delfim city, where you can find a supermarket, bakery, pharmacy and high speed internet. Every day buses leave from São Paulo (260km) and Rio de Janeiro (290km) to Itajubá, the largest city next. You need to tell the driver that you are going to stop in Delfim Moreira. These three options you need to take a bus from Itajubá to Delfim Moreira. 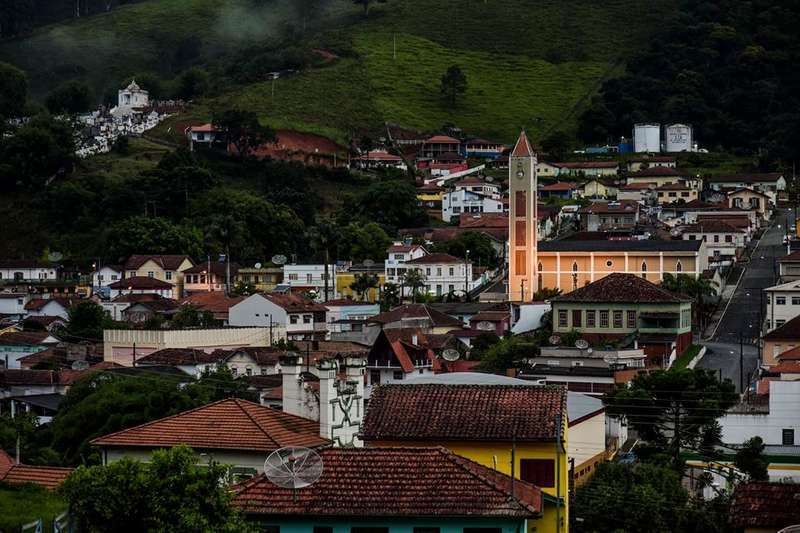 In the free time you can make small trips, such as: Paraty beach and Trindade beach (140km), São Lourenço (100km), Campos do Jordão (60km), Maria da Fé (50km) e São Bento do Sapucaí (100km). There are also several small towns with great tourist spots nearby. Also you can camping in the biggest peak of state São Paulo: Pico dos Marins. Our favorite mountain is 23 km away from the village - and 2421 meters above sea level or to the Pico do Itaguaré - the famous sleeping giant, 2308 meters abobe sea level. Staying with Cristiano was an amazing experience. I stayed there 10 days where I could discover the various sites (hostel, holistic center and this cabana). The 3 places are so beautiful and peaceful. The job was very easy, we mainly took care of the house and thanks to my time there I could relax and take the time to think a bit about my future.… read more Cristiano is an amazing person, so full of love, open minded and opening his door in a such beautiful way. I would definitely recommend people to do a workaway there. If I’m back to Brazil and coming close to Delfim Moreina I will definitively visit the place again! Elsa é uma pessoa super interessada em saber mais da cultura local e pessoas, assim como ajudar no que precisem dela. Ela veio de um tempo de viagem pela Argentina e parte do Brasil e soube aproveitar os momentos próximos da natureza que teve por aqui. De fácil comunicação, ela soube lhe dar com todos os voluntários e se manteve disposta a ajudar… read more com o que foi solicitado no nosso projeto. Espero que tenha sucesso com suas escolhas para seus próximos dias de viagem. Elsa is a person who is very interested in learning more about the local culture and people, as well as helping out where we need it. She came from a time of travel through Argentina and part of Brazil and knew to enjoy the next moments of nature that had here. Easy to communicate, she knew how to give it to all the volunteers and she was willing to help with what was requested in our project. I hope you succeed with your choices for your next days of travel. Matthew & Jenny have been with us for a week and it was enough to know they are good people and good energy as well. They are living this travel experience with a beautiful purpose, to capture from each space the ideal to have in what they are preparing in New Zealand. I wish you great luck with your project and thank you for the help and… read more suggestions you have given us here. We stayed for a week with Christiano. He is a lovely man who is trying to create tourist interest in Delfim Moreira. While with Christiano we stayed at his hostel, country house and chalet. All offered unique experiences. 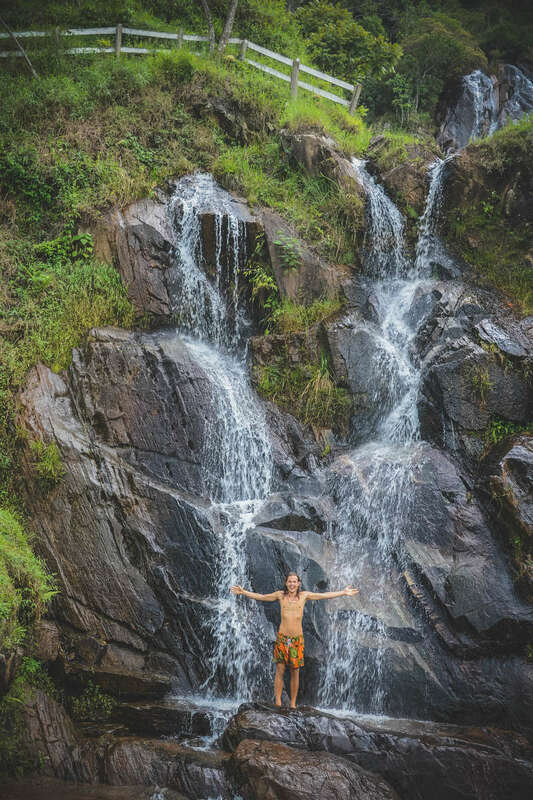 Christiano took us to surrounding waterfalls, invited us to music jams, rapè ceremonies, meals with friends and was a wonderful… read more host who made an effort to make everyone feel welcome. The work we did was very light, cleaning the spaces, some gardening at the house and doing some errands. We would have liked to have done more for him had we stayed longer. Lucia fez parte do nosso grupo de voluntários dando o seu melhor, trazendo muitas idéias e boas energias para o grupo. Com sem belo português ela conseguiu ajudar com aulas e respondendo a dúvidas de quem se interessasse a aprender algo novo. Sempre disposta e cumprindo todas as tarefas solicitadas, ela está sempre surepreendendo. Aguardamos seu… read more retorno antes de embarcar de volta pra casa. O tempo que eu passei com o Cristiano foi maravilhoso. Eu adorei a visão de trabalho dele: todos nós trazemos ideias novas e fazemos o que faça melhor para nos. Ele se preocupa e da atenção a cada voluntário, dando grande importância ao “seja você”. Você realmente construiu um espaço holístico, Cristiano. Travis foi um voluntário super necessário para o momento em que esteve conosco. Comunicativo, interessado e fácil de lhe dar, Travis ajudou nas tarefas com nosso jardim e se disponibilizou a ajudar com pintura e criou também algumas artes manuais. Agradeço por seu empenho e espero que continue bem sua jornada no Brasil. Travis was a super… read more volunteer needed for the moment. Communicative, interested and easy going, Travis helped with our garden and was available to help with painting and also to create some manual arts. Thank you for your commitment and I hope you continue well your journey in Brazil. O que dizer sobre Ziga... uma grande pessoa de alma gigante e ótima energia. Ele é o cara que você sempre gostaria de estar por perto pois é aquela pessoa animada e cheia de boas ideias que você precisa ter por perto. Disposição para trabalho é tão grande quanto sua disposição para fazer novos amigos... Ele é o cara do Niceeee, do belezaaaa, do… read more massaaaaa. Estamos aguardando sua visita o quanto antes possível! What to say about Ziga ... a great person with a giant soul and great energy. He is the guy you would always like to be around because he is that lively and full of good ideas you need to have around. Willingness to work is as great as his willingness to make new friends ... He is the face of Niceeee, bellezaaaa, massaaaaa. We are waiting for your visit as soon as possible! Tobias esteve conosco por uma semana e pôde nos ajudar com sua experiência em filmagem e com tarefas diárias no nosso centro holístico. Ele ajudou outros voluntários com seu bom português e com seu bom senso e disposição. Obrigado por colaborar e que alcance seus objetivos por aqui. Tobias has been with us for a week and could help us with his… read more filming experience and with daily tasks at our holistic center. He helped other volunteers with his good Portuguese and with his good sense and disposition. Thank you for collaborating and achieving your goals here. Eva e Laura apesar de pouco tempo conosco deixaram suas marcas de trabalho para nosso projeto. Elas ajudaram com nosso jardim e com as tarefas diárias da casa. Espero que se divirtam no decorrer de sua viagem e que possam alcançar os pontos desejados nessa aventura. Eva and Laura, despite a short time with us, left their marks of work for our… read more project. They helped with our garden and the daily tasks of the house. I hope you have fun during your trip and that you can reach the desired points in this adventure. Nós tivemos um ótimo tempo com Isa e ela nos deixou frutos do seu trabalho. Ela ajudou com nossa horta e jardim além de lixar todas as paredes que estão sendo preparadas para pintura. Isa sempre estava disposta para ajudar e parecia sempre estar de bom humor. Obrigado pela ajuda e pelos deliciosos molhos que preparou! We had a great time with Isa… read more and she left us the fruits of her work. She helped with our gardens besides sanding all the walls that are being prepared for painting. Isa was always willing to help and always seemed to be in a good mood. Thanks for the help and the delicious sauces you prepared! Kinga esteve conosco por uma semana e mesmo com pouco tempo pôde nos ajudar com as tarefas diárias e com algumas das nossas tarefas sugeridas também. Trouxe sua boa energia dividindo conosco parte dos seus conhecimentos de yoga e esteve aberta a conhecer um pouco de nossas terapias. Esperamos que passe por aqui novamente um dia. 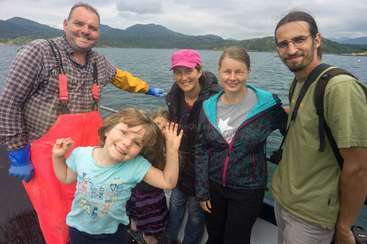 Kinga was with us… read more for a week and even with little time she was able to help us with our daily tasks and with some of our suggested tasks as well. I brought your good energy by sharing part of your yoga knowledge with us and was open to knowing a little about our therapies. We hope to come here again one day. Super recomendo Teresa como voluntária. Uma pessoa sempre disposta a colaborar dando o melhor de sí em qualquer situação. Teresa ajudou no centro holístico com ideias para decorar os ambientes e com suas habilidades fazendo arte com tudo que tínhamos a disposição. Ela preparou uma fogazza e uma massa deliciosa que me passou a receita depois… read more incluindo o modo de preparo que veio desde sua avó. Obrigado e volte sempre que puder Teresa. Super I recommend Teresa as a volunteer. A person always willing to collaborate giving the best of himself in any situation. Teresa helped in the holistic center with ideas to decorate the environments and with her skills making art with everything that we had at disposal. She prepared a fudge and a delicious dough that gave me the recipe later including the preparation mode that came from her grandmother. Thank you and come back whenever you can, Teresa. Mi experiencia fue muy positiva. El lugar es precioso, ideal para conectar con la naturaleza y Cristiano es una persona fantastica, super buena energía, amigable y generoso. Me ha encantado todo...el lugar...Cristiano y los otros voluntarios. I stayed at Cristano`s beautiful mountain home for a week. Cristiano is an amazing host! Relaxed and easy going, he allows each person to be proactive in the service offered, and is always ready to help if needed. I felt totally at home and the space is perfect for the creation of a Therapeautic centre. I recommend 100%. Daniela has been connected with us since the first contact, the affinities were always perceived and we had great moments here. She is always asking and trying to be as helpful as possible, always helping in what is necessary without opposing any task. Daniela offered her knowledge and practice of massage and card reading. We will wait for your… read more visit before you return to your home. Passei 1 semana com o Cristiano lá no Hostel em Delfim Moreira e também 1 dia no Chalé no meio do mato! Foi uma experiência muito bacana. O Cristiano é gente fina e prestativo. Delfim Moreira é linda e cheia de atrativos naturais. Recomendo passar um tempo lá ajudando o Cris no que for preciso. I spent a week with Cristiano and it was really good as a preparation for my vipassana retire, since it allowed me to relax. Work was easy and based on trust. Food and accommodation were pretty nice. He has a diversity of projects going on and I felt that there was room to get more involved in them. His houses in the country are great if you like… read more nature and peace, and his hostel was a very good complement for experiencing a bit of the life in a small town. He was fast to answer and accept my application, and very caring about my whole stay. Cristiano is a calm guy with a lot of energy. He is open and generous, promotes meaningful exchanges and loves adventures. I could also notice that he enjoys hosting and teaching about local stuff. Rodrigo spent time with us and even though it was not many days, he demonstrated how committed he was to his tasks and the people around him. Always very willing to help and listen to others' problems around you. He helped us a lot with painting. I hope you come back someday! It was an amazing workaway experience in the 4 days that I spended at Cristiano’s country house. I am travelling with my friend Sophie and we asked at the very last minute if we could join him to help. Cristiano replied very fast and welcomed us at his hostel place in Delfim with a Caiparinha!! 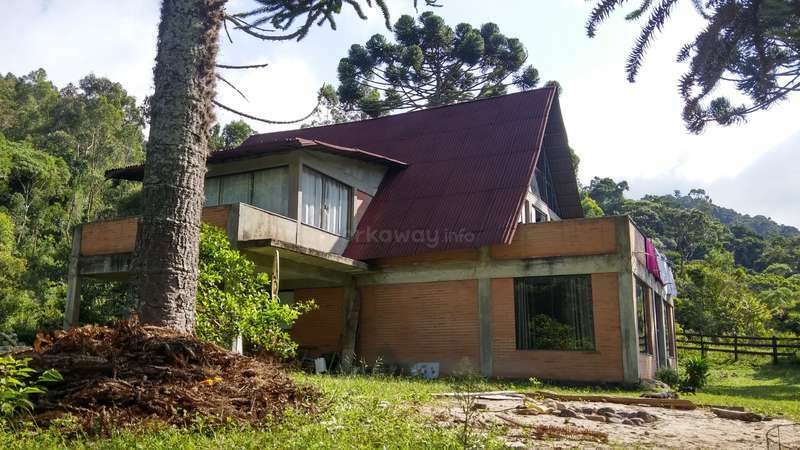 After 1 night in the hostel we moved to the country… read more house which is situated in a very quiet and green environment. Cristiano was very kind and flexible. I will definitely come back to see the finished therapeutic center! Sophie is a very special person, she was with us for a few days but she managed to show a lot of what she knows. His skills with construction and painting were exposed here. We will wait for a new visit! Katherine is a very kind person who stayd almost a month with us. She is a very good painter and has done a beatiful draw here in the hostel entrance. Hope she can come over as soon as possible. Uma experiência incrível. Pessoas maravilhosas que encontrei por lá. Cristiano foi sempre muito atencioso e zeloso comigo e com os outros voluntários. Os lugares são encantadores e te permite ter incríveis experiencias. I have just spent 4 weeks in Rosario at Christano's country house. While there I painted a bathroom white, did some cement painting and also some gardening. Christiano is a welcoming and caring host who helped me to see the countryside and go to local events around my working at the house. Meals were shared in the cooking and eating with the… read more other workawayers and we shared a great community spirit. The house kitten Joker is an added joy, he plays or sleeps with everyone and joined me most nights during my stay. Staying at this beautiful country house was a joy, I met great local people, saw beautiful waterfalls and wildlife (birds, bugs, spiders etc). I spent time in meditation, enjoyed the tranquility and the campfire, and also time with music and drumming. Beth is great doing whatever she is asked for, she understands everything from artistic work to the heaviest work there is, she drives very well and has a lot of sensitivity. I hope that before your trip back you have some time to visit us here. Cristiano is the kindest, most welcoming and fun host! I had such an amazing time spending two weeks at his beautiful country house helping out with various projects. The location of the house is one of the most beautiful places I have ever been! The house is located in a very cute little village that has horses, cows and chickens everywhere and… read more bars run by locals where you can go for a beer and meet local people. The town of Delfim Moreira is a 20 minute car journey/ 1 hour walk away and has lots of lovely places to eat / shop / grab a drink. Everyone is so lovely here! Cristiano went above and beyond to ensure we had the best time, he showed us around lots of beautiful waterfalls, took us on hikes, drove to see the beautiful Chalet he owns and was always there to help if we needed anything! The work was super cool and we had the freedom to choose projects we were interested in, I helped out in the garden and with some painting and led some yoga classes in the morning. Thank you Cristiano for making this my best workaway experience yet! I will miss you all and the house and the kitten (he’s so cute!) very much. Can’t wait to come back and see the project it’s going to be amazing! Charlotte is a very solicitous and kind person, she has given us moments of meditation and yoga in the morning that she has been with us and helped a lot with the elaboration and corrections of some texts in English. She is always willing to help with daily tasks and is very interested in exchanging knowledge. Come back whenever you can! We spent 17 days at Cristiano's home and we had a wonderful time. Cristiano is an amazing person and is very generous. The place is very peaceful and beautiful. It's the perfect place to be cut from the city and internet. It's quiet and calm. He brang us to see beautiful waterfalls, and to the chalet in the… read more mountains. We made a wonderful hike to the Pico dos Marins. It was a bit hard but it worses it !! Cristiano est une super belle personne, et très très généreux. L'endroit est magnifique, très paisible, calme. C'est l'endroit parfait pour se ressourcer loin du bruit de la ville et d'internet. Il est soucieux de nous faire découvrir l'endroit, il nous a amené voir de belles cascades et le chalet dans les montagnes. On a fait une merveilleuse randonnée au Pico dos marins, c'etait parfois un peu difficile mais ça en vaut tellement la peine ! La vue est à couper le souffle ! Pour ce qui est du travail, on a beaucoup travaillé en autonomie et on choisissait nous-même ce qu'on voulait faire pour améliorer la maison. Pour les artistes c'est super parce qu'il nous a laissé dessiner et peindre sur les murs pour faire la décoration ! Aude and Elsa are very sensitive and special people, they spent 2 weeks with us helping in various activities, doing a little of everything and ready to learn and teach what they know. They left us a beautiful gift telling the whole story of your passing here. Thank you and come back whenever you can. Amanda and Cintia are two extremely special sisters, they have been with us for 2 weeks and it seems to have been such a light and quiet day. They have helped in every task by always doing the best and ready to learn more and more. Amanda has great artistic skills and Cintia an unsurpassed workforce, perfect tuning between the two and with the… read more others. Thank you very much for coming and I hope you come back as soon as possible! Leela is a true polyglot in art, she makes any job seem like a perfect game and has incredible skills. She left us beautiful works and much nostalgia. We hope to see you again, come back whenever you can! Dan gave me the pleasure of welcoming him in his first volunteer work at Oca Mantiqueira, in Delfim Moreira. He was able to show us that even as a beginner he already knows what it is to live this beautiful exchange of experiences. If you need to explain something to a volunteer, with Dan you do not need to repeat what you've said once, he will… read more really show that your words have actually been heard. He is always willing to help with the tasks offered as well as ready for any adventure presented to him, showing us what a real tourist is. I hope that on your next visit to Brazil he will include us in your trip. There’s very little more to say about, Cris, than what’s already been said by previous volunteers. The fact everyone of his 17 reviews have been five stars speaks volumes. the Hostel was my (Dan) first cultural exchange and I loved every minute, Cris, is just a straight up guy and his main concern is that you enjoy your experience and learn some… read more Brazilian traditions. He speaks very good English and of course fluent Portuguese, so he helped me out around town acting as a translator as and when required. He’s lived in London and done some travelling himself, so is easy to relate to and has some interesting and uplifting stories to tell. I helped him out with some of his social media and edited some promotional videos for his Facebook and Instagram pages. His country house project is his dream, his vision and I just know it’ll be amazing once it’s complete. I look forward to coming back when it’s done. I could go on and on and on, but honestly, he’s just a nice guy, like a really really nice guy. He genuinely cares about his volunteers and wanting them to enjoy the experience. This makes him a super host. I 100% recommend heading to Delfim Moreira and staying in the village a week or longer, you’ll love every minute. Michele was a great volunteer. Always willing to help and good ideas to offer. She was there for a week because she had to solve some problems related to the documentation regarding her visa for her days here. I hope you can return after your trip to South America and give us the pleasure of a few more days with us! Micky is a perfect volunteer, he is always willing and open to collaborate. His knowledge of coffee helped us to enjoy this Brazilian delight better. Thank you and I hope you come back whenever you can! Cristiano is a great human beeing! I stayed for 10 days and enjoyed being there a lot, especially the chats with Cristiano were uplifting, comforting and liberating. He has an amazing project going on and I wish you all the best. Walid e Cintia formam um belo casal unindo as culturas de Tunísia e Argentina. Ele tem conhecimentos de fisioterapia e sabe bastante de arte culinária e nutrição saudável, enquanto Cintia é técnica em produção vegetal orgânica além de fazer música e cantar muito bem. Ambos podem também ajudar com espanhol e francês. Eles passaram 2 semanas conosco… read more e fizeram aqui uma bela horta orgânica, além de termos tido o prazer de saborear os deliciosos pratos saudáveis feitos por Walid. Espero que voltem mais vezes e que tenham muita sorte em suas próximas viagens! Walid and Cintia form a beautiful couple uniting the cultures of Tunisia and Argentina. 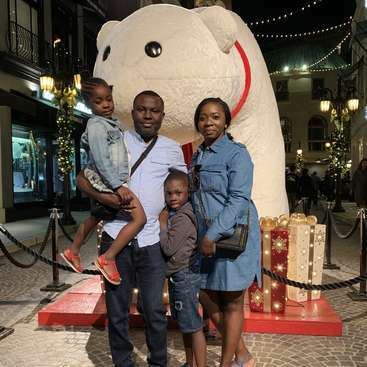 He has expertise in physical therapy and knows a lot of cooking and healthy nutrition while Cintia is a technician in organic vegetable production as well as making music and singing very well. Both can also help with Spanish and French. 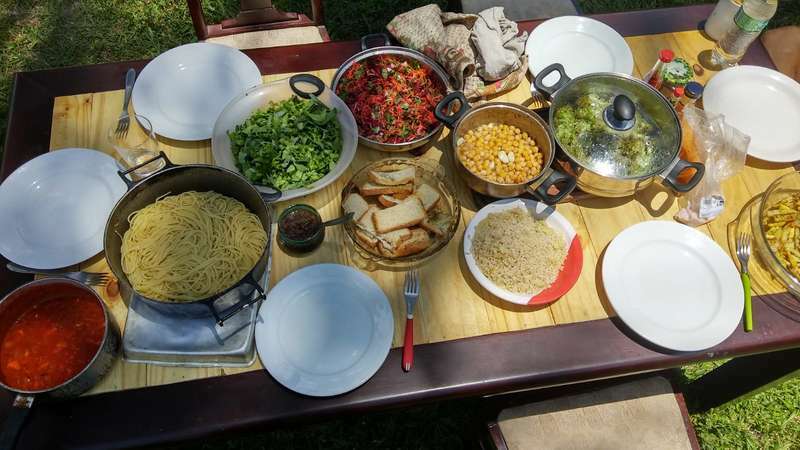 They spent 2 weeks with us and made a beautiful organic garden here, and we had the pleasure of enjoying the delicious healthy dishes Walid made. I hope you come back more often and have lots of luck on your next trips! je suis très satisfait de mon séjour ! j'ai vraiment hâte de revenir ! O que dizer sobre Matias e Brenda... Para mim foi como encontrar dois irmãos que desde o primeiro dia se mostraram justos e amorosos. Eles fizeram como seu o nosso projeto fossem o projeto deles mesmos, apoiando e incentivando cada passo dado. Agradeço a eles por serem os que ajudaram com a tarefa de tornar cada espaço possível de se estar. Espero… read more que continuem sua viagem com muito sucesso e cheio de boas escolhas por esse caminho que traçaram, considerando também todas suas mudanças de rotas por este maravilhoso caminho que traçaram por aqui. Abraços e aguardo um breve retorno... Gratidão! Delfim Moreira es un paraiso protegido por las Sierras de la Mantequeira y dentro de este gran cordon de montañas esta el proyecto de Cristiano. Trabajamos durante un mes y medio en la casa de la montaña, el Oca Chalet y la casa de Campo en el hermoso barrio rural de Rosario. 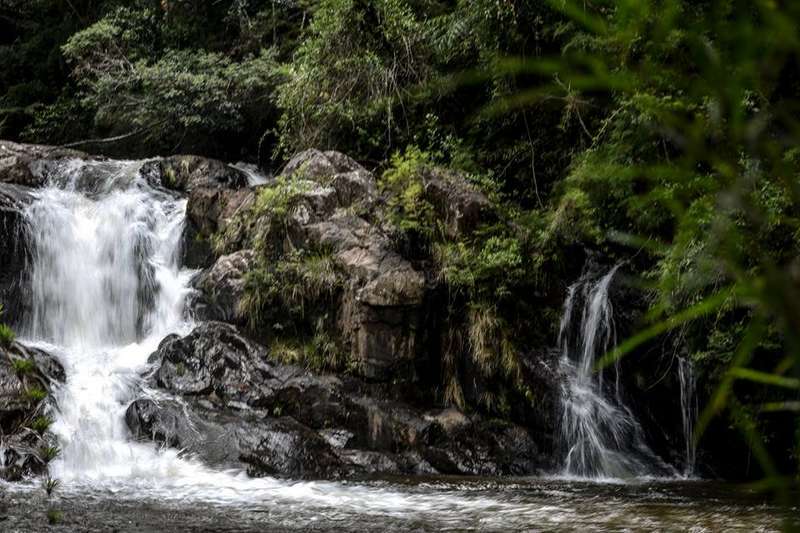 La naturaleza del lugar esta completamente preservada, cascadas y… read more bosques hermosos por todo al rededor. Los momentos con Cris fueron como estar en familia. Nos sentimos no solo agradecidos, sino con la responsabilidad de transmitir mucho de lo que aprendimos. El proyecto involucra una filosofia de vida de la cual aprendimos y hoy la consideramos como propia. Tenemos en Delfim otra familia, una familia que va creciendo con el apoyo de los voluntarios que se van acercando a este increible proyecto. Comparto el proyecto para todo aquel dispuesto a vivir en contacto con la naturaleza, paz, mucho respeto e imenso aprendizaje. Erika stayed with us helping with our site, she is a very kind person who gives everyone the maximum of herself to help. I hope your journey is successful. Come back soon! cristiano its a wonderful host, he teached me the best places , we worked together on a web page, and the spirit he gives to all tasks makes you admire his dreams, a real family feeling to stay there, wonderful rooms and houses, wonderful and unique experience, i recomend him lots!!! This family has something really special, Macarena, Paulo and Stephan stayed here for two weeks giving some light to the project, the ckeck list was the highest point. I hope your journey is successful. Come back soon! We had an awesome time volunteering and helping for 2 weeks with the project. Cristiano is such a good person, full of dreams, very concerned about everyone needs and his project, even though is starting, is very interesting. 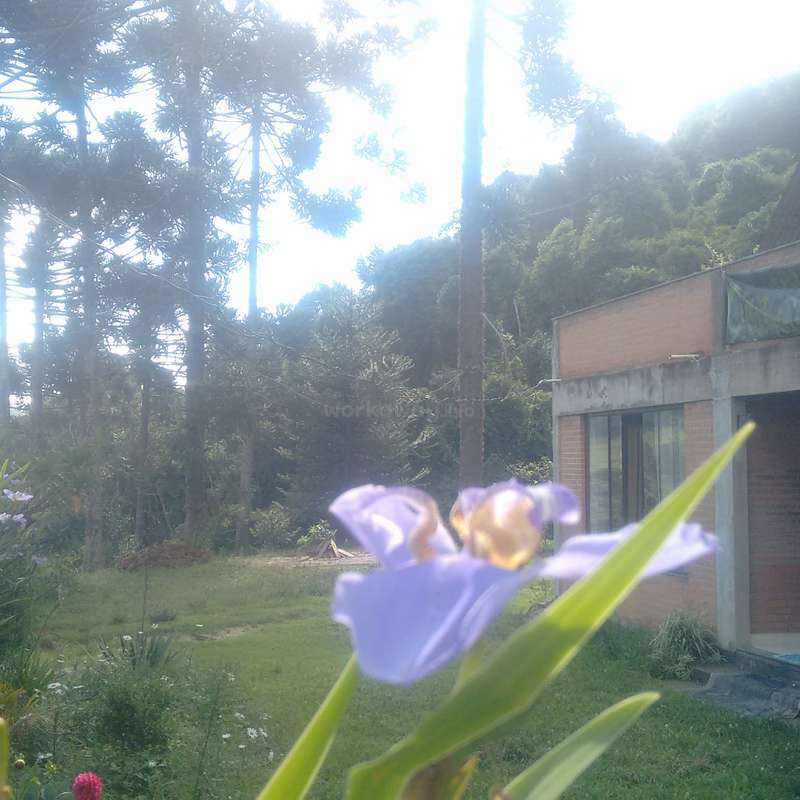 The place is beautiful.....100% nature, full of araucarias and waterfalls, peace, an amazing chimeney for warming up… read more during the nights.....and there is room for creating and for new proposals. There is lots to do so, for sure everyone can find something to help with regarding to their habilities and passions. We hope the ecovillage and therapeutic center become real, as awesome as Cristiano dreams and reunite and help people from all over the world. I think every single person here has given us something special, Tess was one of them. I hope your journey continues to bring light. Come back soon, my friend! Thank you Cris for being a most generous and caring host with the beginnings of a lovely project up in the hills. Flexible and open to the sharing of many ideas of spirituality, healing and sustainability, Cris makes everyone feel welcome and takes care of their needs first and foremost. He is always keen to be an informative guide of the local… read more area with his chalets set high in the beautiful hills. There is clearing and cleaning to do (inside and outside), but with the aim of creating calm meditative usable spaces, it certainly was not stressful work! I look forward to returning over time to see and be part of the process and progress. Cristiano welcomed us very well and made his best to make us know the different places and people around. During the 14 days we've been there, we learnt a lot and it was great to participate a little to Cristiano"s beautiful project to create an holistic center in the middle of the forest. Thanks Cristiano and all the best for the future! We are here right now and we are loving it! Come and join the experience, and let the iniciative grow. The mountains are filled with water and clean, fresh air. The people are lovely and we have found so many dreams to live here. Gratidao por essa experiencia! I spended two weeks with Cristiano. It was a wonderful experience. He is very respectful and for most of the work he was present ... which made me feel part of the family. The work is very light: such as cleaning, cutting bushes in the garden and planting vegetables and fruit plants. Between one task and another, we also went out to see the area.… read more Beautiful waterfalls, villages, wonderful views including high peaks. I visited the whole area, and also some mountain trails.We camped at the highest point. The town of Delfim is cozy and quiet, but somtimes we went to an beerhouse with regional music and great taste. It was an incredible time and I recommend it to all nature lovers!